You thought you'd seen all the Pacster had to offer, huh? Pac-Man mobile games have been rather hit or miss as of late, and it's uncertain as to what types of Pac-Man titles we're going to see around the corner. I for one am excited to see Pac-Man 256 coming down the pipeline and spent hours with the original Pac-Man Championship Edition DX, but I can't wait to see that as a mobile release too. 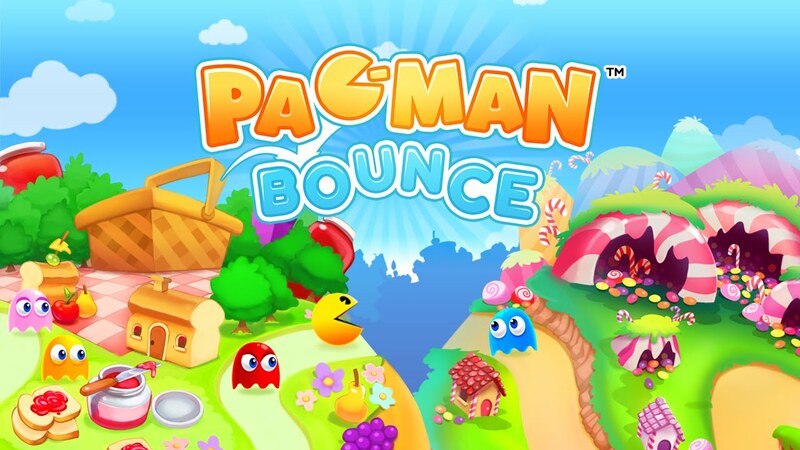 But to tide us over until both of those games, Pac-Man Bounce exists. And you know what? I'm actually having quite a bit of fun with it! Pac-Man Bounce is in soft-launch in Canada and other territories, but I've given it a shot and it's a special puzzler in which you get Pac-Man to move different directional blocks in order to feed him all the dots in the level at once. You can't touch ghosts, of course, or other obstacles, and Pac-Man can actually bounce of the walls surrounding him to go further. It's pretty strange, but absolutely adorable and quite clever. It reminds me a bit of Pac-Pix, where you had to draw your own Pac-Man scribbles to get them to eat all the ghosts in the level, but this time you're already using a prebuilt Pac-Man and chomping up the ghosts. It definitely is aimed toward an in-app currency model, but it's quite a bit of fun, especially if you keep an open mind as to what you enjoy seeing Pac-Man doing other than his famous chomp-chomping of the arcade games. It's expected to release worldwide near the end of the year.